I have what some people consider a weird custom of visiting Jewish cemeteries wherever I go. 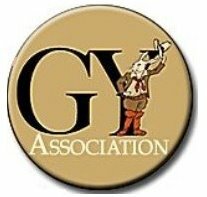 It’s not that I have a relative buried there, although it may be so -you never know- it’s simply that I’m a genealogist, and this is similar to checking phone books to see how many with the Horowitz live in a town. In March, I was on my way to the Australasian Congress in Adelaide, Australia and stopped over in Hong Kong. In addition to the great time I had -and the wonderful people I met- I had an opportunity to meet with Howard Elias and Erica Lions, two members of the Jewish Historical Society and the people in charge of the Hong Kong Jewish cemetery. 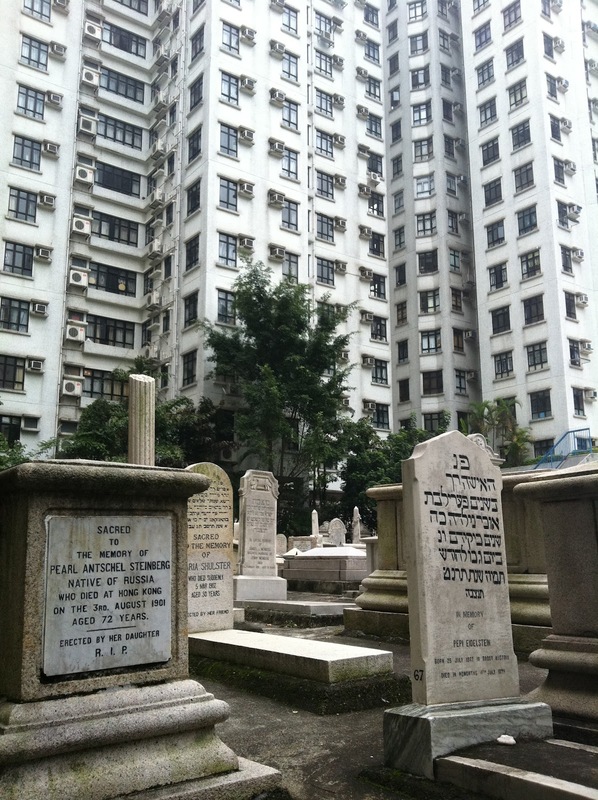 I had never thought about a Jewish cemetery in Hong Kong - it is not documented in the JewishGen.org Jewish Online World Burial Register (JOWBR). Those who manage the cemetery are dedicated to resolving this quickly. All the gravestones have already been photographed and transcribed and will soon be available (and searchable) on the Internet. The cemetery itself is amazing. When Howard and I arrived in a taxi, I saw only huge apartment buildings and some old-style Chinese buildings (a school and a temple). Imagine my surprise when he said, “Here they are, already waiting for me,” referring to a meeting with people doing restoration and maintenance work on the grounds. This cemetery was once outside the city, as in many big cities around the world. The land is owned by the Jewish community, which wasn’t common in Hong Kong. Once a swamp, it was given to the community by the Queen of England with the hope that people would move to the neighborhood. The area's name is Happy Valley, meant to persuade people to move there, but as this idea never prospered, they decided to use it for the cemetery. 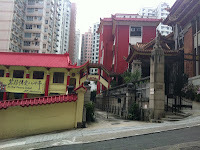 From the street, visitors wouldn’t guess that a cemetery was hidden behind the gate and those tall buildings (see photo). 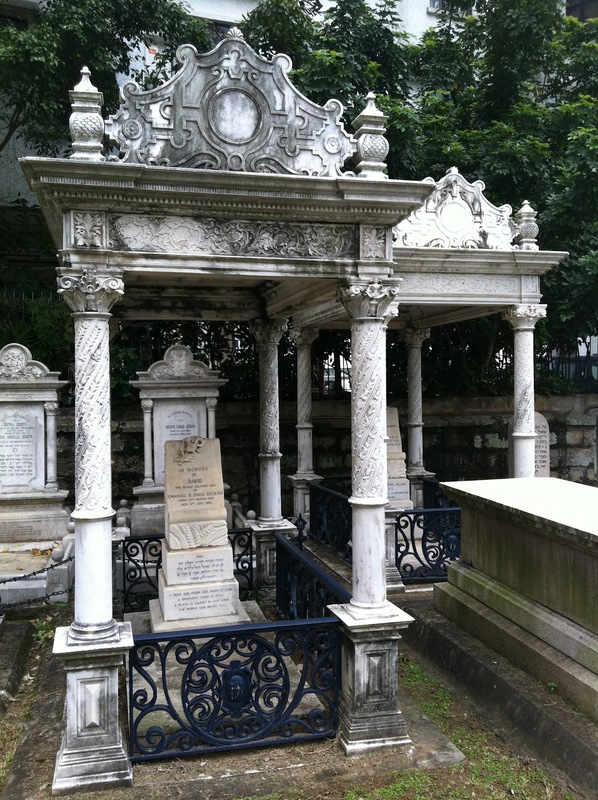 Visitors can see all the gravestones, many of which are Sephardic-style, raised above the ground. The oldest one I saw was from 1875, inscribed in Hebrew. Some were so old that the inscriptions were illegible. Name and dates tell the story of Jewish immigration to Hong Kong and such difficulties as plague and other illnesses. Although these days the committee doesn’t have more than a few burials a year, the total number of graves is about 300. Some have Hebrew inscriptions, while some recall relatives from around the world. One carries an image of the deceased, not often seen in Jewish cemeteries, although it is common among the Russian and Persian Jewish Diasporas. Perhaps most amazing was the view of the beautiful grounds from the surrounding apartments. 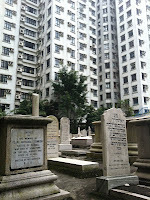 In Chinese culture, cemeteries are sacred and respected areas. Obviously, the living neighbors don’t mind living adjacent to the dead. After all, they may be the best neighbors: they are quiet, don’t hold loud parties and never complain. If you travel to Hong Kong, put Happy Valley on your must-see list.